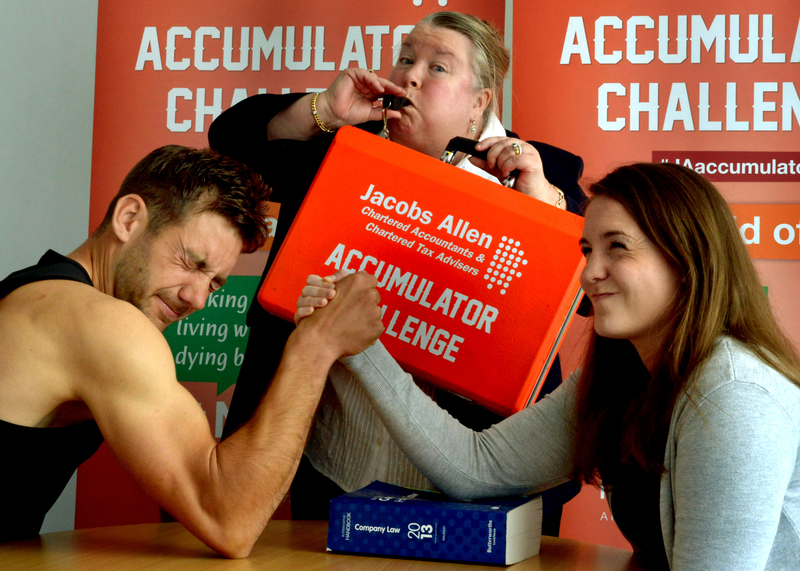 Businesses across West Suffolk and Thetford are being invited to battle it out in St Nicholas Hospice Care’s annual Jacobs Allen Accumulator Challenge. Last year more than 39 businesses pitted against each other to spend three months turning £50 into as much money as possible to be crowned corporate champion. ASDA Bury St Edmunds took home the coveted top prize after raising £5,685, while overall the event raised £38,672. This year’s three-month battle hopes to see even more as businesses going head-to-head. Firms already signed up to the challenge, which is supported by the Mercury and East Anglian Daily Times, include The Playground, Atkins Thomson, Green Duck, Box-It, Sports Direct Fitness and The Coffee House. Nick Smith, of The Playground, is taking part in the challenge for the second time this year. He said: “I hope that by joining forces with my brother Phil we will have a greater chance of raising more and blowing everyone else out of the water. Laura King, of Atkins Thomson solicitors, said: “In 2015 we did a trade it up campaign, starting with a paper clip and ending up with a holiday. The £50 notes – donated by sponsors Jacobs Allen chartered accountants and chartered tax advisers – will be given to each registered company at a launch evening on 15 June. Prizes will be handed out at the end of the challenge, in September, with categories including most motivated team, marketing award, community award and most amount of money raised. Rachel Card, Hospice Corporate Fundraiser, said: “I love the Jacobs Allen Accumulator Challenge as it offers businesses excellent networking opportunities and encourages great teamwork and entrepreneurship. It’s also a brilliant way for companies to meet their corporate social responsibility.